Dr. Carolyn Thomson, Dalhousie Medical School’s first assistant dean of resident affairs. 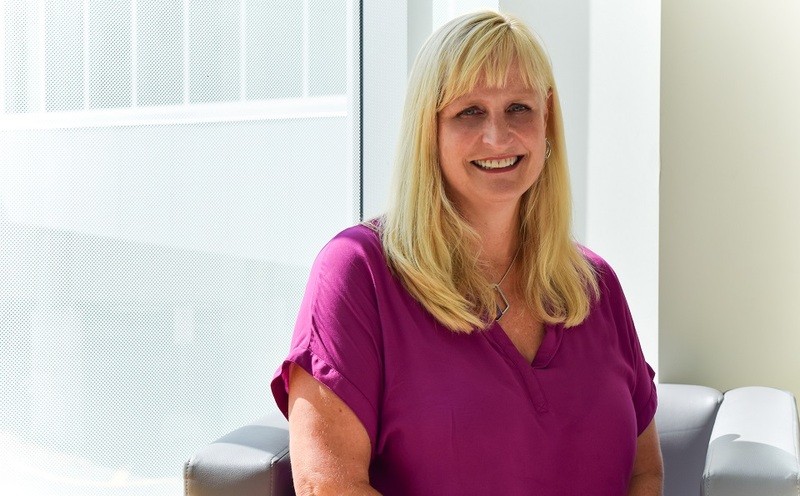 Meet Dr. Carolyn Thomson, Dalhousie Medical School’s first assistant dean of resident affairs. Dr. Thomson is a long-time family physician who has worked in emergency medicine, obstetrics and primary care. She was head of family medicine at the IWK Health Centre from 2006 to 2012 and, in 2008, joined the faculty of Dalhousie’s Department of Family Medicine. She continues to practice and teach at the Dalhousie Family Medicine Clinic on Mumford Road in Halifax. Dr. Thompson brings a wealth of experience to her new role at Dalhousie Medical School. For the past eight years, she has served as coordinator of professional support programs at Doctors Nova Scotia. In that capacity, she provided counselling, referrals and a variety of health and wellness and other supportive programs to physicians and residents. Q. What is the role and importance of the office of resident affairs? As part of the newly formed Office of Resident and Student Affairs, we play a multi-faceted supportive role to residents in family medicine and specialty training programs across the Maritimes. This includes individual consultations, facilitation of referrals, group programs and, eventually, I hope, online programs. Essentially, our role is to assess residents’ needs and design and deliver programs and services that meet these needs. Some of this will be proactive—for example, helping residents develop coping skills and wellness strategies—while some of it will be reactive, such as helping residents who come to us with issues or concerns. For residents, who feel tremendous pressure to perform at the top of their game all of the time, it’s extremely important to have a safe place they can come to discuss personal issues or to air professional or academic concerns. Particularly if they have a complaint about a supervisor or a colleague, they need to be able to seek assistance outside their training program, without fear of repercussion. Q. What are the key issues that residents face? I think most people are familiar with how intense residency training can be—at a time in their lives when residents may be newly married, establishing a home or starting a family, and may also be experiencing considerable financial strain. Long hours/night shifts in the hospital or clinic, stringent program requirements, and the demanding nature of providing patient care, all contribute to a wide range of challenges, including stress-related health issues and even burnout. The literature makes it clear that workplace and institutional factors are the biggest contributors to burnout, as opposed to characteristics of the individual trainees themselves. It’s imperative that universities and teaching hospitals examine their policies, environments and cultures and find ways to alleviate their contribution to burnout. Burnout is a serious phenomenon involving emotional exhaustion, depersonalization (in which the person with burnout no longer feels as much empathy with or connection to others), and a low sense of personal accomplishment. Not only does burnout put the resident’s health and wellness at risk, it can compromise patient safety. At the same time as we address systemic and institutional factors that contribute to stress and burnout, we have to provide residents with tools and supports they can use to look after themselves. Residency will always be demanding and challenging… we have to educate and equip our residents to manage their own wellbeing as they travel their chosen path. Q. What are your first priorities as assistant dean of resident affairs? My very first priority has been to reach out to the program directors, chief residents and others involved in our 57 residency training programs here at Dalhousie—including our teaching sites in New Brunswick and across the three Maritime provinces. Through focus groups and one-on-one conversations, I’m becoming familiar with all of the programs and their strengths and concerns in reference to resident wellbeing. I’m hearing first hand from residents themselves about their issues and what they would like to see in terms of programs and supports. From there, I’ll work with the stakeholder to develop more specific plans and timelines. Over the summer, we were very focused on getting our new office set up, developing content for our website and providing links to a wide range of resources, and spreading the word that the office of resident affairs is now up and running! Q. What kinds of programs and services do you anticipate the office will offer? Programs and services will be designed and delivered based on the needs and preferences we identify in consultation with residents, faculty and staff. In general, I can say that we’ll be providing education and support. Some of this will be through group programs offered onsite in the learning environment, through the residency programs. Some will be one-on-one counselling in person at our office—or by email, phone or Skype—or referrals to other services. Down the road, I would like to investigate the feasibility of online training programs and applications that residents can access to help them with specific issues, such as managing finances, time or stress. Q. What other groups and organizations will be involved? We’ll be working in partnership of course with the residency programs, but also with Dalhousie’s Resident Wellness Committee, Maritime Resident Doctors—which is the professional association for residents—and University Health Services, among others. One of the things we want to ensure is that every resident has a family doctor! Q. How may residents access the office and its services? I would like to emphasize to residents that they seek me out before their issue or concern has spiralled out of control—whether it’s a personal, academic or workplace situation, it’s always better to address it before it has progressed to the point of consequences. Residents can reach me by phone (902-494-3232) or email (carolyn.thomson@dal.ca), or stop by our new location in the Office of Resident and Student Affairs on the ground floor of the Clinical Research Centre on University Avenue. I look forward to meeting and connecting with as many residents as I can!